Infrastructure is the backbone of a nation's economy and tackling infrastructure problems is a key requirement for leveraging growth especially in developing economies like India. Amidst the changing global and domestic economic order, investments in infrastructure have become crucial in order to sustain the pace of economic growth. This has created a need for managers to lead and sustain organisations involved in infrastructure business. The TERI SAS is the first University in the country to offer an MBA programme in infrastructure. The increasing emphasis on the infrastructure sector nowadays and the requirements of the industry necessitated a review of the existing programme. It was felt that a programme more focused on the sector would attract candidates, especially the mid- career professionals. However, fresh graduates who can demonstrate the ability to cope with the rigour of the programme can also apply. The programme not only imparts the managerial skills in core subjects like any other conventional MBA course but also equips the students with acumen in infrastructure management by offering sectoral electives in water, energy, and urban infrastructure. The aim is to achieve a critical mass of expertise for effective management of infrastructure challenges across the country. 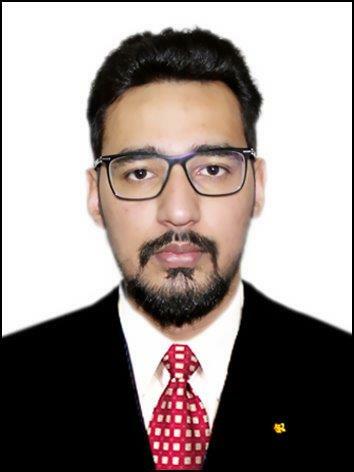 My MBA from TERI School of Advance Studies in Infrastructure Management, helped me to not only understand the infrastructure business but also inherent the concept of green financing and sustainability, which is also the need of the hour and provide me an upper hand while working into the industry. The Course structure of the Infrastructure program in TERI SAS is well structured and comprehensive which gives me the understanding of infrastructure management from technical, economic, social, legal and political perspectives. The major and minor project in the curriculum give me the great exposure to the industry where I can understand the work and on the other hand opportunity to mark our presence on the eye of the employer. The subject experts and the working professional faculties at TERI SAS provided me the vast knowledge and share the real project experiences through case studies, field visits, term papers, assignments and tutorials which help me to understand the on field situation. Studying at TERI SAS has been a great learning experience which gives me the unique knowledge with the unique identity in the industry and prepared me for the challenges that lie ahead in my professional life. When you join any company, the TU students are not trained on their business profile or operations, rather they are asked to train employees on sustainability. This is the uniqueness of TERI School of Advanced Studies.